I love new beginnings. All of ’em. 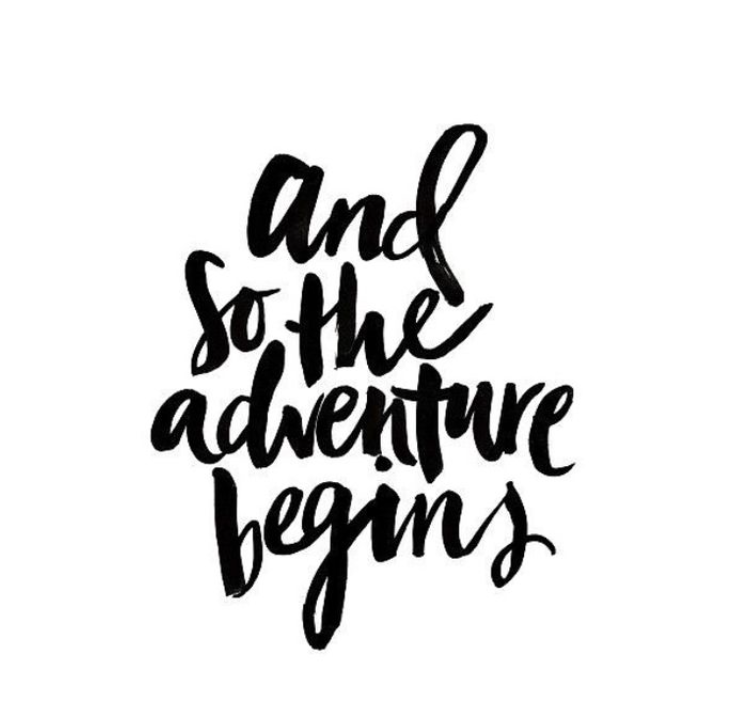 Mondays, mornings, new years, new months, new seasons…The hopefulness of the start of something new excites me and motivates me. As far as goals and resolutions, I don’t look at them as having a deadline. If/when I create them, I do so with the intention of them being something I work on for as long as I can, as long as life will allow. So any goals I set for myself, I’m not looking to have fulfilled them by the end of they year. If they take longer, they take longer. For me, the pursuit of the goal, the lessons I learn while I’m actively trying, is always what stays with me the longest. Because of a year like 2016, I finally feel confident enough to go for my 2017 goals, because honestly, I never thought I’d be within reach. I want to Boston Qualify. You all knew this was coming, right? Lol! In all seriousness though, I’m still quite a bit aways, but this is the year I want to start making my attempts. I’m motivated by a good training cycle and marathon from NYC, I’m motivated by friends like Katrina and Colby and Jennifer and Ashley, and I’m motivated by the fact that I’m finally confident enough to even consider it. My first attempt will be at St. George in October. It’s no longer a lottery (per their website) so on April 1st, I’ll be at my computer ready to register, lol. I’ve also already signed up for California International Marathon (CIM) in December. Right now my current marathon PR is 3:58 and my BQ time is 3:35. Realistically, I’d need around a 3:32-33 to get in. Completing a half marathon under 1:45 this past December really boosted my confidence in thinking I could actually qualify. That was a criteria for me before I even considered trying. With Hanson’s Marathon Method, the longest tempo run is 10 miles, so if I were training to BQ, I’d need to do 10 miles in 8:00 minutes. With a half marathon at a 7:48/mile average under my belt, I feel like I can better tackle a Hanson’s BQ training cycle now. Can you tell I’ve thought about this a lot? Ja!!! I want to sub 1:40 a 1/2 Marathon. This is equally insane to me as my BQ goal. When I ran the Scottsdale Half Marathon, I thought a sub 1:45 was a stretch (my previous PR being 1:48) and I remember saying that as long as I got that sub 1:45, I would be done with any 1/2 marathon goals. Well I finished with a 1:42 and now I kinda want to try for a sub 1:40, lol! And this time, I’m serious that whenever I do get it, I’ll be more than satisfied having that as my long standing PR. Like I said at the start of the post, I’m not looking to check these off this year. It would be great, but I know that it could take longer than 12 months. A lot longer. And I’m okay with that. I know trying for these goals, even if I don’t make them “soon”, will help me become a better runner. That’s still a win, right? I have 3 marathons scheduled for 2017, two of which will be BQ attempts. I have 2 half marathons scheduled, one of which will be a sub 1:40 attempt. –What are your 2017 running/fitness goals? –When you dream big, do you dream reeeeally BIG (like me, lol) or make goals that are more within reach? Thank YOU for being so awesomingly amazing!! Well we all know how I feel about you and that BQ – IT IS YOURS!!! You’ve been one of my biggest cheerleaders–thank you!!!!! GO AND GET THOSE GOALS GIRL! You are on a hot streak of great training, so go and get it! Dude, another runner with a Ben (and I follow a blogger with a Ben too). We should start a club called Runners with Bens. BIIIIIGGG GOOOAAALSSSSSSSSS!!!!!!!!!!!! Go BIG, or go home, I say. The St. George Marathon is a great one for a BQ attempt. It’s a downhill course and you know I love downhill courses. I’ve heard really good things about CIM. I’m not doing a marathon this year. While I don’t regret doing Wineglass and Steamtown these past two years, I didn’t enjoy marathon training last year and I want to go back to focusing on what I love running – racing 5Ks and half marathons. I have some tentative goals in mind, but I’ll sit down and plan out definitive plans and goals when I’m ready to train. I’m still decompressing from a stressful fall/early winter. Def BIG goals but I’m going to run marathons anyway so might as well go for it, lol!! I think it’s def important to run distances you enjoy–for you, 5Ks and 1/2s. I’m excited to see what those distances have in store for you in 2017! xoxo!!! Those are some awesome goals! You can totally reach them if you put your mind to it (and your feet to the pavement)! I’m running my first half-marathon this year (the Missisauga Marathon) – if all goes well, I’m hoping to run a few more this year and shave off some time! It truly is a win-win situation! Yes! I was wondering when this was going to happen. So excited for you. You’ve made so much progress. There’s no time like the present! I’m scared! LOL! Thanks, Sarah! You’ve been so helpful with your informative posts! Go after it girl! You’ve done so well in the last year I’m sure all your hard work will pay off this year..or next for a BQ. Thank you!!! I’m excited for what the year holds for all of us! GO GET THAT BQ! I now you totally have it in you to smash your marathons this year and claim your ticket to Boston! Love this and love you declaring it. I know you’ll hit these goals because you will work for them. It won’t be easy but few things worth it are. I’m sooooo excited to watch you hit that BQ! You know me, not shy about publicizing stuff, lol!! I felt like if I put it out there, I’d buckle down more and really commit. Like you said, it will not be easy, but it’ll be fun trying 🙂 Thank you for all of your support!!! I hope I can see you in a few weeks! I know!! 3 is crazy. Heck, 1 is crazy! They’re spaced pretty well apart though so it won’t be too insane (I hope). This is all so exciting, Helly! I think with the confidence you found this past year, you can tackle anything. GO GET IT! I could have written this exact post. I’m in pretty much the exact same spot. 1:42 half PR, hoping to break 1:40 next, and a 3:59 marathon, with BQ on my mind for my next 26.2 (but also accepting that these goal might not happen this year). Can’t wait to follow your training for these races! You’re just as crazy as I am lol. I say go after em all, what the helly, life’s to short to not push ourselves to the limit. I would go after he BQ now and not age in, I have an ego like that lol. I always look at the BQ and I know with a lot of hard work I could do it but man oh man it’s intimidating. 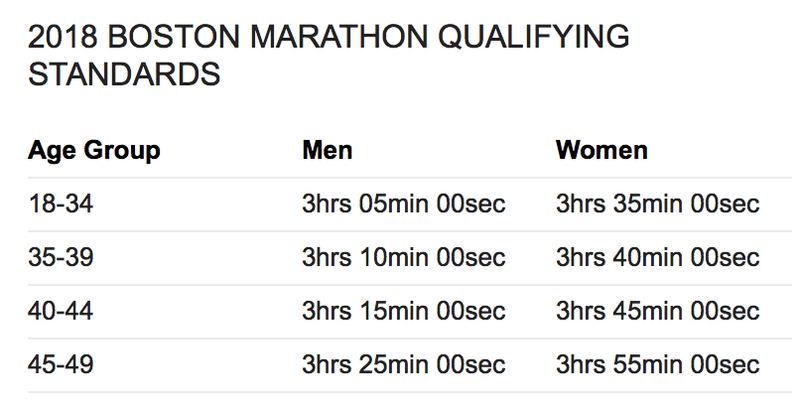 I would need a 2:50 or so to qualify and I don’t have the passion for that right now. My passion is ultras right now so I’m focusing on that. We will see what happens down the road. I’m on an opposite path in that I really want to BQ first and then venture into the world of ultra running. I’d love to do a 100k someday! I”ve loved following your trail running journey! This post makes me SO happy!!! I was really hoping that you would go for a BQ. I was telling my husband about you and he said “she can absolutely qualify.” You have the speed – your recent half marathon proves that. And you have the endurance. Those long tempos at marathon pace will marry the two together. You absolutely can do this. Don’t worry about where your current marathon PR is and how much time you have to shave off. You are physically capable of running a qualifying marathon and you are mentally tough. One thing I did was find other people who had similar half marathon PRs to me who ran marathon times I wanted and I thought about them over and over. Selfishly I wish your marathons were earlier (Mountains 2 Beach Marathon!!) so we could run together in 2018 🙂 🙂 Otherwise you bet I will be there in 2019 to cheer you on! I love that you don’t want to wait until your BQ time bumps up. I always thought that if I BQ’d I would be a total squeaker – like a 3:39:55 to meet my 3:40 qualifying time. I truly believe that if there hadn’t started being a need to beat the qualifying time by 2-3ish minutes I would have never pushed myself to run a sub 3:35. I remember reading an article once about how the BQ standard is good because it gives people a time to try for, but that it’s also limiting because people use it as THE standard for what they’re capable of running. Thought that was an interesting outlook. I know so many people (online and in real life) who are going to Boston next year and it makes me itch to try for it early so I can meet up/go with them. BUT, I don’t want to rush things (and at the same time, am scared of peaking (if there’s such a thing)). One of my friends recommended M2B and Jack and Jill marathon which are mid year and spread apart from my other marathons enough to do them, but then that would mean FOUR marathons (OMG)–If I did do that, I’d probably eliminate St. George b/c there’s just no way I could do four fulls and be healthy. A section of How Bad Do You Want It talks about that–how time goals often restrict us b/c it sets limits to what we could *actually* do. I totally agree! P.S. I sent you a personal message on your Instagram! I’m running the Chicago Marathon this year. It is my only goal race. I worked really hard last spring to get a time qualifier for guaranteed entry, and I’m so excited for it already. I do have a big goal for myself, but I’m being one of “those people” and keeping it personal. I’ve heard only good things about CIM and am toying with the idea of running it in 2018. Boy, between that and St. George, you sure know how to pick ’em! Welllll, Mondays can sometimes be fun?? LOL!! I have a tendency to choose “big” marathons according to my husband, lol!!! Those are awesome goals!! You got this!!!! Go for it, those are both awesome goals! Mine are to return to running in 4-6 months time (gah) and get back stronger than before! Hopefully lots of swimming and weight training will help whilst I’m recovering! YES, swimming and weight training were HUGE factors in my running improvements. I KNOW you’ll see a difference when you return!